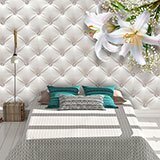 Wall mural Lilies Bouquet. 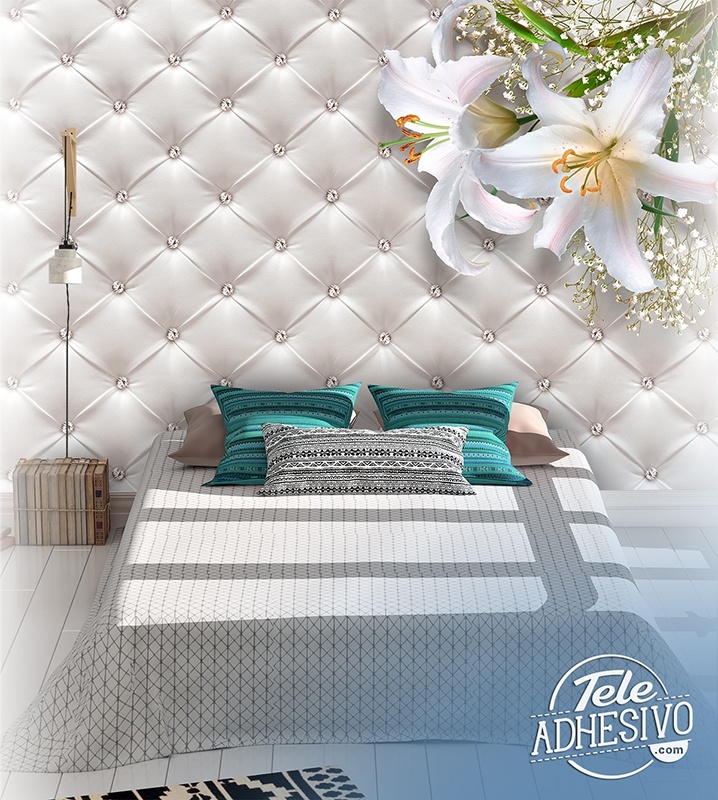 Beautiful bouquet of lilies in the upper right decorated with small flowers. 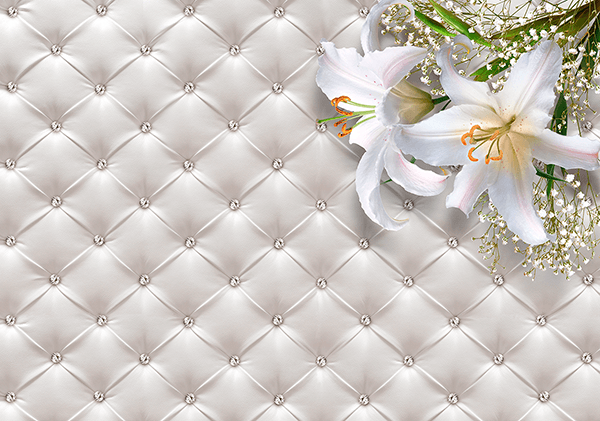 A background upholstered with small shiny corners. Due to their colour they also carry many meanings. In this case white symbolizes innocence, purity and modesty.